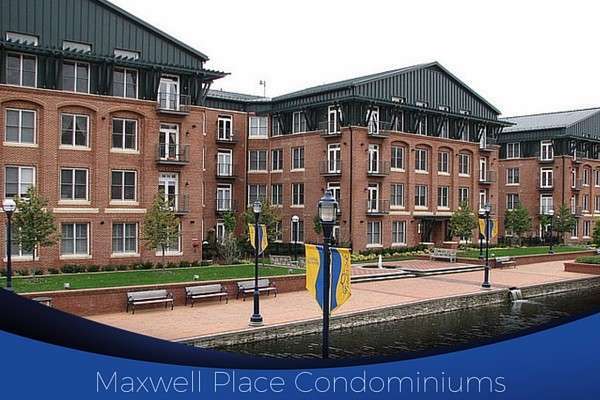 Maxwell Place Condominiums in Frederick Md, in the historic District, have a beautiful view of Carroll Creek Promenade. There are 68-units in the building with the unique feature of 196 parking spaces in the center, surrounded by the luxury condominiums. 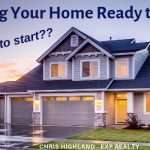 There are 23 different floor plans built by K-Hovnanian Builders. 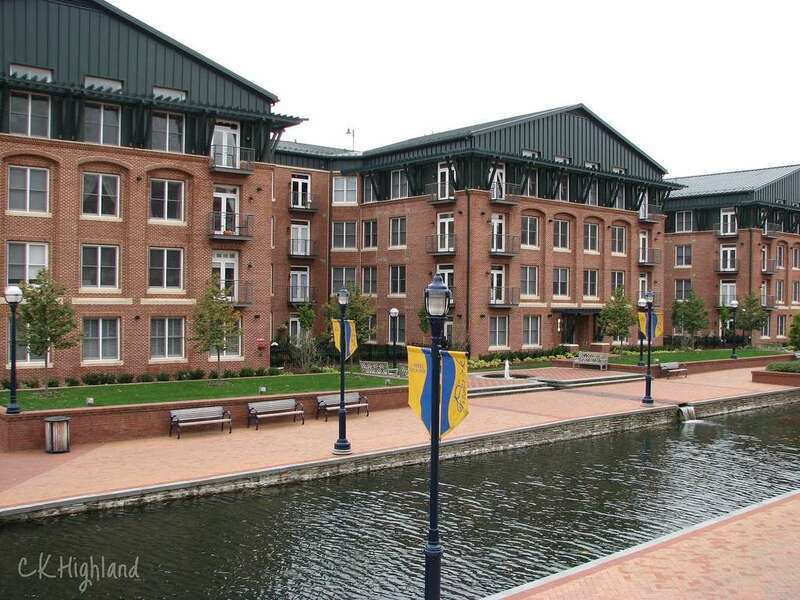 The condos were completed in 2006, with the grand opening of the Carroll Creek Linear Park. Clagett Management, 7540 North Market Street manages the condominiums. 301-695-6676. K. Hovnanian builders used much of the original red brick from the previous historic bus station on the exterior of the condominiums. 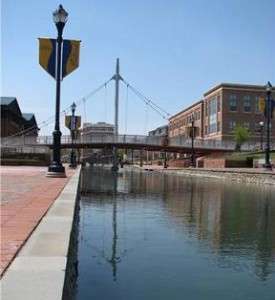 With the location right on the Carroll Creek Park, Maxwell residents enjoy living in the center of downtown Frederick. 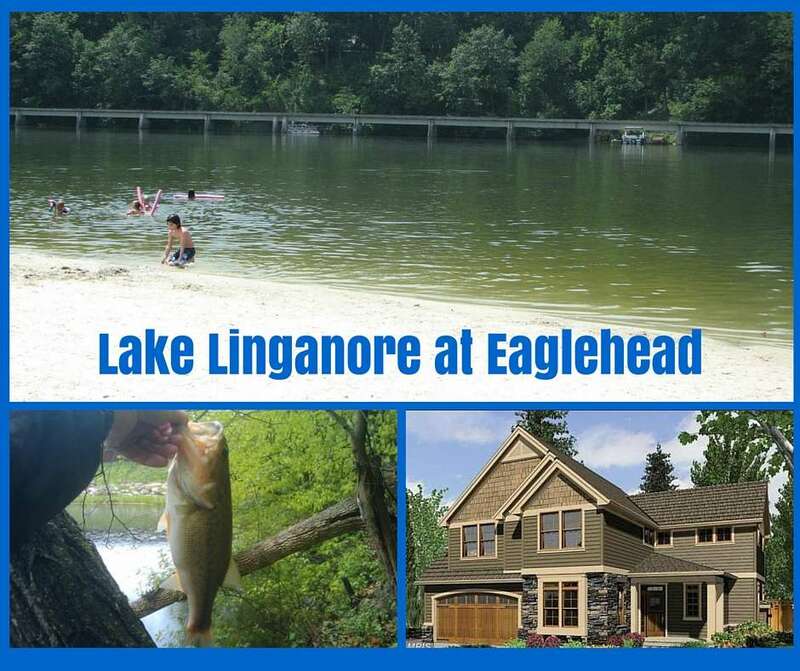 Commuter routes and mass transit are nearby, as well as all the great Historic District amenities. 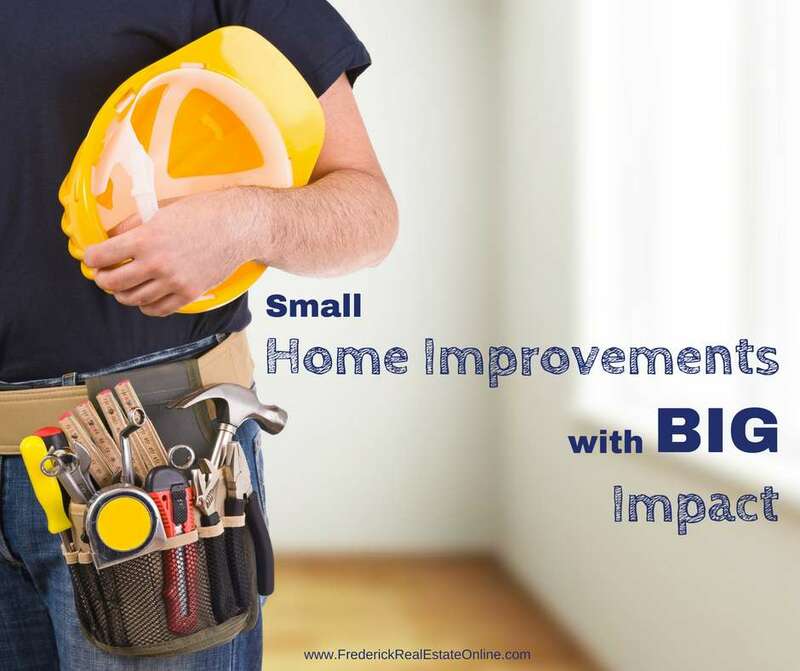 Downtown Frederick life includes fabulous restaurants, beautiful historic architecture, specialty shops, art galleries, theater district and a lovely, walkable small city. 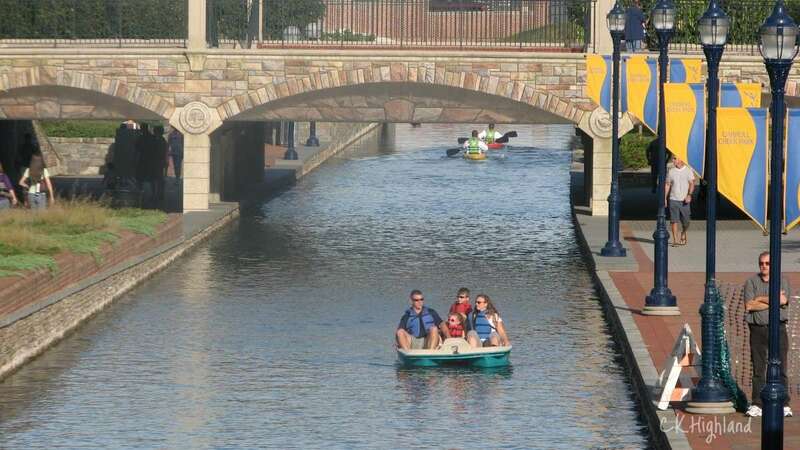 Community events like First Saturday, Music on the Creek, Movies on the Creek, Alive at Five…and more, offer a vibrant atmosphere in downtown Frederick. Residents enjoy live music at the nearby Carroll Creek Amphitheater during the many festivals and celebrations in downtown Frederick, or closed windows will completely shut off the creek life, if that’s the choice. There is a growing Theater District in Frederick, with several local companies and venues: The Weinberg Center brings in celebrated national acts as well as local talent. 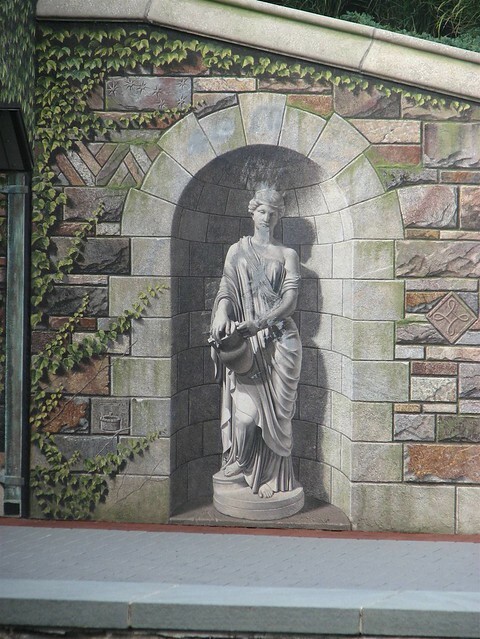 The MET, Maryland Ensemble Theatre, has productions year-round, as well as the Fredericktowne Players, Other Voices Theater, Way-Off Broadway, Frederick Live!, and many more. 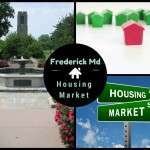 Sell Your Frederick Home: What is my Frederick Condominium Worth? Maxwell Place Condominiums are located near the Delaplaine Visual Arts Center, the Community Bridge, and across from the South Market Way Center. 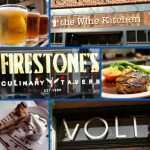 You’ll find several restaurants: Hinode, Doner Bistro, and my favorite, The Wine Kitchen. One block away is Market Street, and Patrick Street, the two main streets in downtown Frederick, with more great shopping and restaurants. 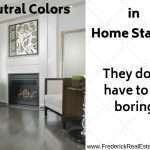 There are several other condominium communities in downtown Frederick. 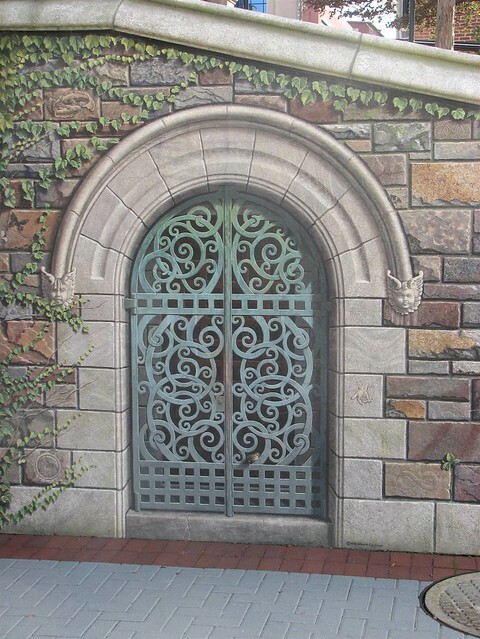 Pythian Castle, located on Court Street, is an older building that is currently being renovated into seven luxury condominiums. 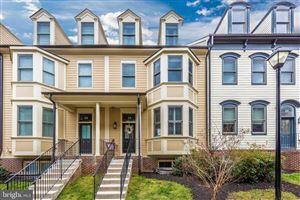 Beautiful historic archictecture, with all the best features: wood floors, quarts kitchen counters, stainless-steel appliances, exposed brick walls and a community elevator and fitness room, and more. 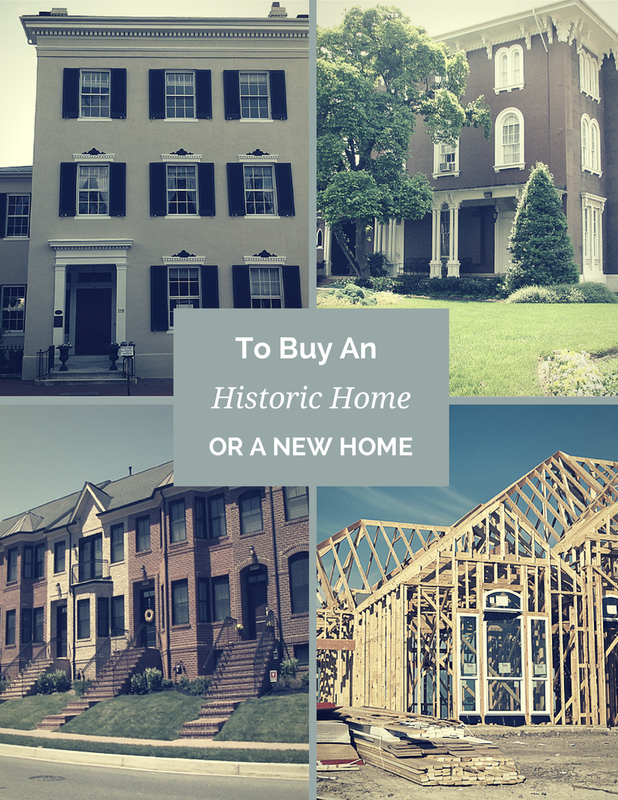 There are luxury condos at Creekside Plaza, Mercer Court (by Baker Park) and Lafayette Square and Market Square, as well as several small condominium buildings that have been converted from some of the grand historic homes in the Historic District. 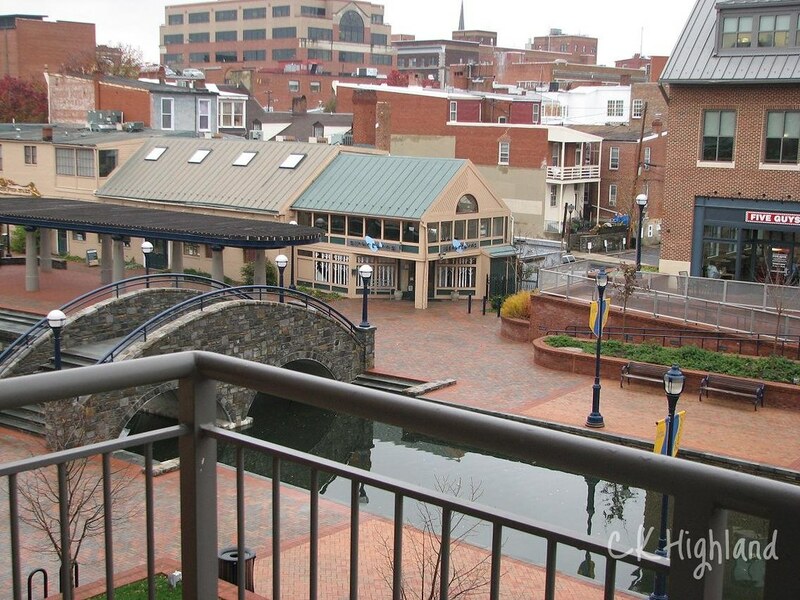 Contact Chris Highland for a tour of downtown Frederick Condominiums. The Community Bridge, or Painted Bridge, a faux-painted concrete bridge on Carroll Creek stands just outside of the condominium units. 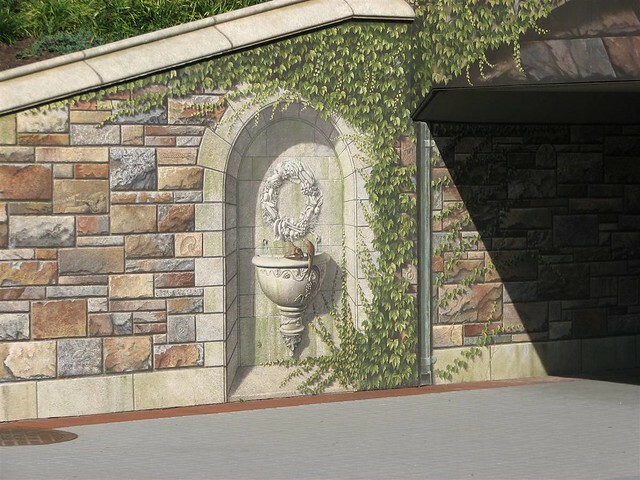 Several years ago, a group of artists, lead by William Cochran, painted the bridge with hundreds of symbols. Interestingly, the symbols were “crowd-sourced” from Frederick County residents, and even from past residents living in other parts of the country. A sign with a key to the symbols stands on the east side of the bridge. Maxwell Place Condominiums in Frederick Md, 68 units surrounding a center parking garage, these condominiums are for sale and for rent in downtown Frederick.